What Can Fluoride Do For You, Chesterfield? Fluoride is a mineral, plain and simple. Fluoride occurs naturally in different foods as well as in water. Fluoride is also added to many of the oral care products sold in Maryland Heights, St. Louis, and St. Charles stores. This makes it possible for you to apply fluoride to your teeth when you brush your teeth or use mouth rinses. This miracle mineral is also applied to teeth during routine cleanings at Chesterfield and Florissant dental offices. 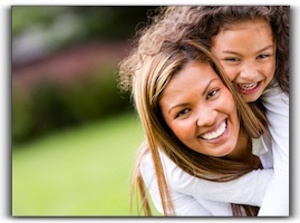 I’m Dr. Martin Buchheit and I have a full-service dental practice in Florissant. Helping my dental patients maintain optimal dental health is important to me, and so is helping them achieve the smile they want through cosmetic dentistry procedures such as veneers, teeth whitening and complete smile makeovers. My practice, Koch Park Dental – Martin L. Buchheit, DDS has been serving the Chesterfield, Maryland Heights, and St. Charles area since 1987, and we would like you to be our next satisfied patient. Please contact us at 314-837-7744 so we can make an appointment for you.